When we met our landscape designer Emily on site this week, it had only been my fifth visit to what is to be the future forever home for our family since buying it in May. Isn’t that crazy? The first time was at the open house inspection and I remember walking through the front door and making a beeline straight for the backyard. I was in and out of the house in a few minutes only to pick up a marketing brochure and the agent’s card. I don’t think I even bothered to have a proper look inside the house but I recall being wowed by the number of fruit trees in the garden. 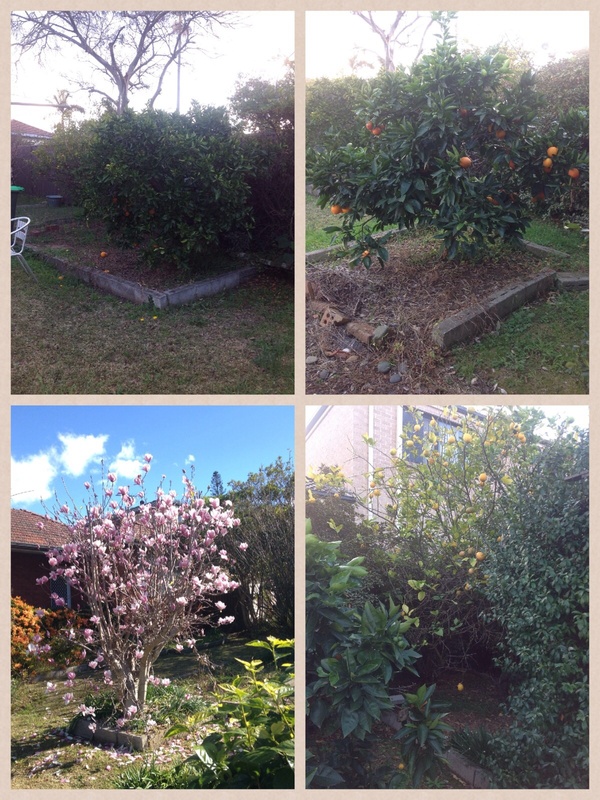 Whilst we talked to Emily about our landscape plans for the new garden, I couldn’t help but notice the trees were now in full bloom and the abundance of fruits around the backyard was really quite impressive. There was a whole garden full of oranges, grapes, lemons and even pomegranates just begging to be picked and eaten! I must say it surprised me to feel a twinge of sadness that soon these trees that were undoubtedly much loved by their previous owners will soon be demolished. I did ask Emily if they were salvageable but she didn’t think they would survive the months of heavy construction. So, I guess it’s out with the old and in with the new. There’s nothing prettier than a magnolia in bloom.